What an amazing week of eye surgery God gave us here at BHM last week! From the surgical straightening of a 2 year-old’s badly crossed eye to the removal of a large orbital tumor in a 4 year-old girl to new sight for four diabeti c young people in their 20’s who suffered from total diabetic cataracts, we witnessed healing and restoration of vision like rarely occurs in Haiti. 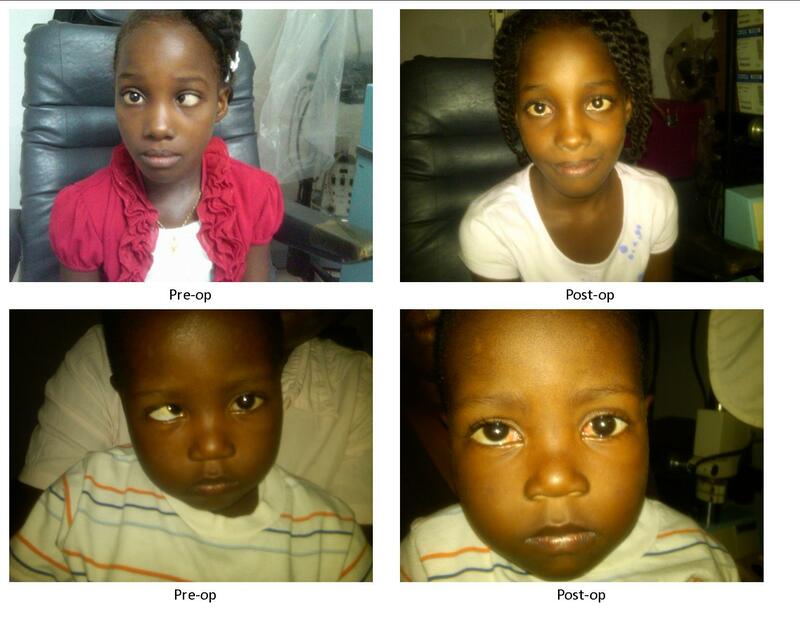 Take a look below at a couple of the beautiful children whose eyes were straightened. Our ophthalmologist friend from Ft. Wayne, Indiana again returned to Haiti to offer his outstanding surgical skills for four days October 27-30. He ended up doing 24 surgeries, which included three children with severely crossed eyes, several cataracts in patients of all ages, corneal surgery, eyelid growths and repairs, and even removed ear lobe keloids and a scalp hemangioma. The cataract surgeries were done with the same state-of-the-art, small incision, no-stitch procedure currently done in the U.S. called phacoemulsification (or ‘phaco’). It was a busy week indeed. We praise our awesome God who has a special heart for the hurting and needy of this world. May this ‘new vision’ of our patients impact them and us in a way that ‘opens our eyes’ to the unfading beauty of Jesus! He is the Light of the world, and may we never lose ‘SIGHT’ of HIM!